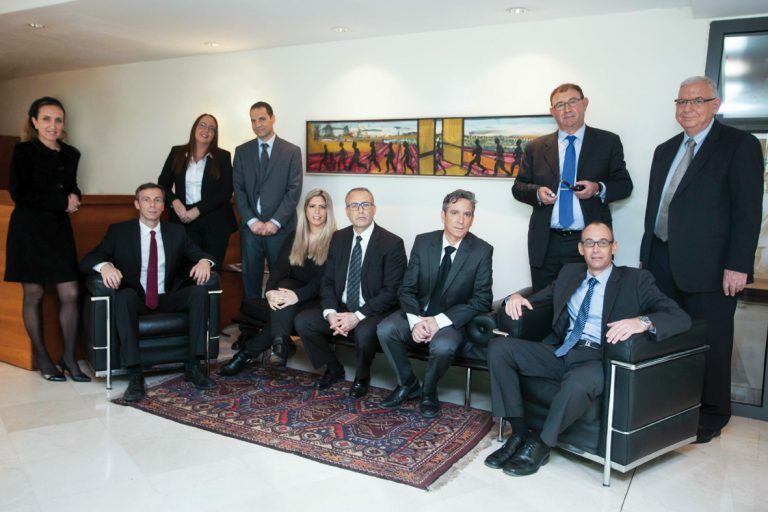 Nathan Meir & Co. is listed among the leading civil-commercial law firms in Israel for over three decades the firm and has been representing prominent commercial entities in various fields, including prominent local government agencies, public and private commercial companies, real estate development companies, institutional entities , moshavim, investment companies, as well as a full range of private clients. Nathan Meir & Co. offers its clients years of experience and uncompromising professionalism. Through its Partners and extensive range of Associates, the firm has the ability to analyze complex legal situations, in order to provide appropriate solutions for its clientele. The firm’s client list includes some of the largest and most prominent companies in the Israeli market, various entities (including urban commercial entities) local authorities both large and small, local government entities, associations including for non-profit and likewise private clients including prominent businessmen. Nathan Meir & Co. focuses on providing legal counsel, primarily in relation to Litigation, Real Estate, Administrative law, Planning and Construction, Local Government, as well as a full range of commercial and business related advice and assistance. In addition, the Firm is actively and extensively engaged in niche areas and markets, with an emphasis on Tenders, Energy, Municipal Infrastructure, Anti-Trust law, Regulation, Urban Renewal, Banking & Finance, Franchising and Distribution. The Firm’s staff of over 20 lawyers is dynamic, skilled, and creative, enabling the Firm’s clients to enjoy a top quality professional service. In addition, the Firm values its relationship with the wider community, providing pro bono legal assistance to several appropriate organizations. Litigation – The Firm’s Litigation Practice has extensive experience in counseling clients in all civil and administrative litigation issues (including various proceedings under class action law) and provides legal solutions for clients interested in conflict resolution through alternative mechanisms (Alternative Dispute Resolution), with an emphasis on Mediation and Arbitration. Administrative Law – The Firm’s Administrative Law Practice deals with a wide range of administrative law issues, including the field of tender law and administrative matters in relation to municipal taxes, levies, fees, and bylaws. The Practice enjoys from many years of experience in providing representation in administrative petitions, primarily in the field of tenders and in front of various statutory committees. Commercial Law – The Commercial Practice provides ongoing legal counsel to a wide range of entities involved in import, consumption, heavy and traditional industries, energy, domestic tourism, education and more. The Practice counsel companies, various nonprofits, entrepreneurs, and partnerships through commercial processes, regulations, and complex transactions, including mergers and acquisitions, investments in entities in Israel and abroad, franchising and distribution agreements, antitrust, commercial regulation, financing, and banking and likewise in energy. 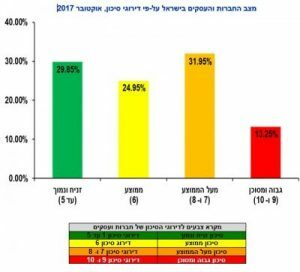 Local Government – The Local Government Practice has been active for more than four decades, counseling local authorities, economic entities, Moshavim and Kibbutzim, local councils, and local government organizations among the largest in Israel. In addition, this Practice provides legal representation in the framework of audits by the State Comptroller and various audit bodies of the local authorities. Real Estate – The Real Estate Practice handles cases for large and small businesses and partnerships, including local authorities, large and well-known companies, entrepreneurs, contractors, and private clients, in a wide range of real estate transactions, including income-generating real estate projects, real estate and land dispositions, urban renewal, combination transactions, and ongoing representation vis a vis the planning authorities and the Israel Land Authority. Planning and Construction – The Planning and Building Practice provides diverse and complex legal services to a wide range of clients (including planning institutions, central bodies of the local government and private clients), representation before various judicial instances in administrative and civil proceedings, and to the various authorities and entrepreneurs. In addition, the Practice is extensively involved in Knesset deliberations in connection with the various reforms that are taking place in this field and is involved in the formulation of various outlining plans. Nathan Meir – Founder of the Firm. Adv. Meir leads the Planning and Construction department of the firm. He is considered one of the most competent authorities in Israel on planning and construction and real estate development. Advocate Meir has served in many public committees, publishes articles in the professional press and often appears at conferences and lectures. Giora Ben-Tal – Managing Partner. Adv. 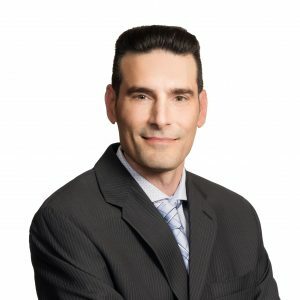 Ben-Tal leads the litigation department and specializes in complex disputes, including civil and commercial law, administrative law, contract law, arbitration law, class actions and consumer lawsuits. Gershon Rothschild – Partner. Adv. Rothschild coordinates the Firm’s practice in the field of local authorities and specializes in real estate, planning and construction, local authorities, municipal companies, tenders, and infrastructure projects. Anat Gafni – Partner. Adv. Gafni heads up the Firm’s practice in administrative law and tenders, specializing in the formulation and publication of tenders for public entities in a variety of fields, including tender proceedings, legal counsel for tender committees and representation in administrative petitions. She also represents the Firm’s clients in civil claims and labor law. Zvi Baranes – Partner. Adv. Baranes is the head of the Firm’s real estate practice. His areas of expertise include civil and commercial law, with many years of experience in real estate, including real estate taxation, real estate management, complex transactions management, planning and representation of institutional entities, investors, and entrepreneurs. Eitan Rothschild – Partner. Adv. Rothschild is head of the urban infrastructure practice and specializes in municipal infrastructure issues, as well as civil-commercial law, real estate, and hotels, managing complex commercial transactions, and managing legal proceedings in the commercial and real estate fields. Wanda Feinberg v Partner. Adv. Feinberg coordinates the Firm’s Commercial Practice, specializing in civil and commercial law, corporate law, commercial transactions, antitrust law, commercial regulation and consumer legislation, contracts, and business entrepreneurship financing. Hila Waintrob – Partner. Adv. Waintrob is a partner in the Litigation Department, specializing in civil-commercial litigation, administrative litigation, and litigation in the areas of planning and construction, real estate, commercial law, mediation, and arbitration. Noam Shaham – Partner. Adv. Shaham is a partner involved in local government issues (including ongoing counsel for municipal entities in the fields of infrastructure and execution of significant public projects), commercial law, corporate law, tenders, municipal companies, civil and administrative litigation, and planning and construction. Zohar Padova – Partner. Adv. Padova is a partner in the Litigation Department, specializing in civil-commercial litigation, administrative litigation, mediation and arbitration. Adv. Padova also serves as legal counsel of a well-known municipal association.